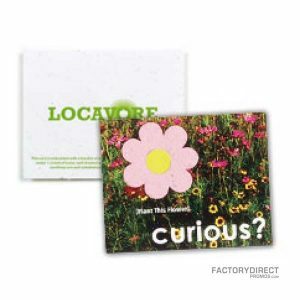 Send a short message or brand yourself as an environmentally conscious business with these mini seed cards. Each card features two sided printing that allows you to spread your message and promote your company or organization. 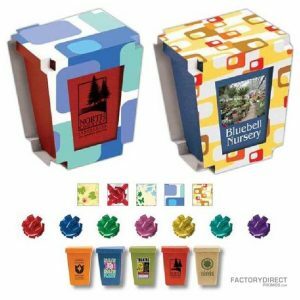 The card stock is recyclable and also features a slot to accommodate a die-cut piece of customizable seed paper. 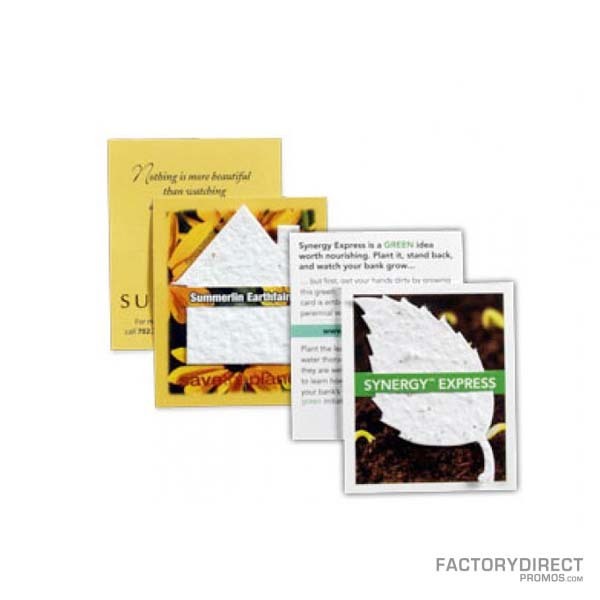 Our sproutable paper is embedded with a mix of annual and perennial wildflower seeds and a couple weeks after planting the paper your customers can enjoy a beautiful living bouquet that will also remind your clients about your brand.